Cataracts cloud vision, making it more difficult to see detail and to drive at night. 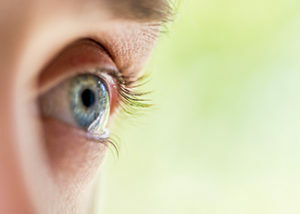 Cataracts form on the lens, the part of the eye that focuses light to transmit an image on the retina. When a cataract forms, it diffuses the light, making it impossible for the retina to “receive” a clear image. A separate class—congenital cataracts—may be the result of certain disease conditions (such as myotonic dystrophy or rubella), but age also plays a role in the development of certain types of cataracts since the lens of the eye becomes thicker and less flexible as we age. When they appear in the center of the lens, they may at first seem to cause a person to become more nearsighted before turning more yellow (or brown), clouding the vision and making it difficult to distinguish color. Cortical cataracts begin as streaks that start to form on the edge of the lens and slowly work their way to the center, creating problems with glare. Small cataracts that form toward the back of the lens can also cause glare, as well as reducing reading vision. Protect your eyes. Wear sunglasses that block ultraviolet B rays, which may contribute to the formation of cataracts. Manage your health. If you have other health-related problems, like diabetes, work with your healthcare provider to maintain an appropriate treatment plan to protect your eyes. Obesity increases the risk of developing cataracts, so maintain a healthy weight and blood pressure through healthful eating (especially antioxidant-rich fruits and vegetables), exercising, reducing alcohol use, and stopping smoking.